Although working at flexible hours is advantageous, it becomes a disadvantage for some of us who work late at night till the wee hours of dawn. I, for one, tend to be sleepy since everyone is already asleep and I have no one else to talk to. Sometimes, I freak out too with the deafening silence and thoughts of ghosts. At times, the TV helps as it becomes a background sound when the silence is too creepy and eerie but if I'm not really watching anything, it's rather a waste of electricity so I'd often eventually turn it off. This is where music comes into the picture. I listen to all sorts of stuff from rock to rap, electronic, and even classical; not to mention binaural beats, isochronic tones, and the like. The latter directly affects mood as it introduces beats and tones that alter specific brain functions. You can choose tracks that supposedly help with concentration and waking up (even deal with issues like anger, anxiety, and depression) all the way to weird topics that supposedly help with fate, fortune, and supernatural stuff (I know, really crazy). Although I have a bank of tracks banked in a memory bank (the rhyme! ), I often head over to YouTube and scour countless videos all over the site. Problem is, I busted one head phone's cord while moving to and from my desk. Another one, with a microphone I use for Skype interviews needs to be adjusted before you can hear from both sides. 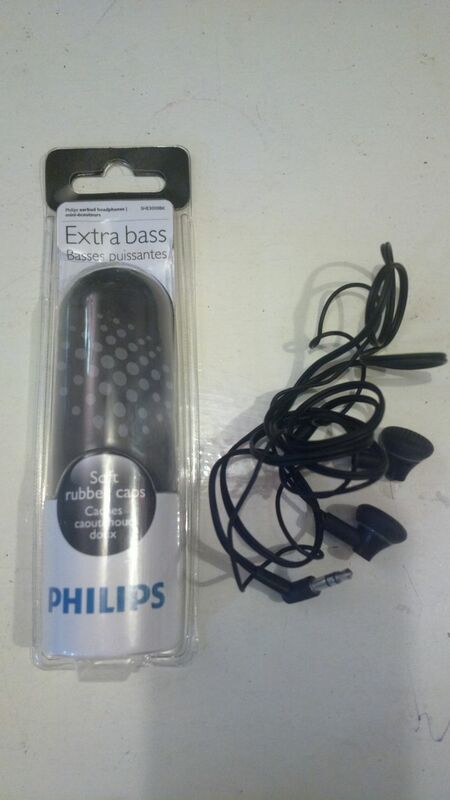 Good thing, this extra bass Philips headset works wonders. It's the second one of two (one was lost, most likely stolen). Problem is (again), my movements are limited to the length of the head phone's cord and I don't want to force the cord to the point of breaking again. So I just use it whenever I'm sedentary and glued to my seat. 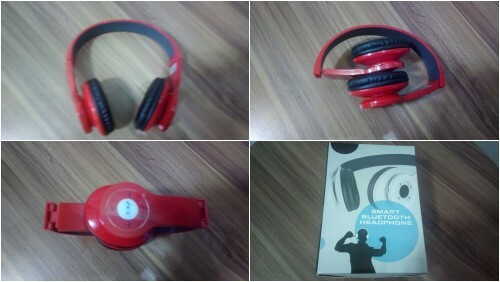 I wasn't really bothered by the limitations until I stumbled upon this affordable and foldable AEC wireless smart Bluetooth headset sold in Lazada by Akihabara Philippines. Since it's inexpensive, I thought of giving it a try. And it was great choice! Not only is this product inexpensive (it was sold at Php 1499 at that time, 40% off from the original 2500 pesos price), it also works wonders! You can easily connect it via Bluetooth and start enjoying music wirelessly. It's perfect for me since I move to and fro two laptops used separately and alternately for work and play. I don't mix both. It also compatible with tablets and smart phones. I was able to test and make it work with 6 devices all in all. Just a tip though, should you ever come across this gadget or any other similar Bluetooth wireless headsets, make sure to turn off the Bluetooth on all devices when not in use as the headset will automatically connect with gadgets it's paired with and has the Bluetooth on. One time, I was frustrated as it's not connecting to the play laptop I use but the headset announced "connected" (yes, it talks!) only to find out it's actually connecting to the other laptop. So with this wireless Bluetooth headset, I can easily slide my chair from one laptop to another and move around our humble abode; sit and watch TV, watch my kiddo and hubby sleep in the room, play with the dog, walk up and down the stairs outside, and even wash the dishes or do any other chores.